It was more than a little participation. Eight and a half inches of race fell on the speedway in a hurry. In addition, there was a tornado watch mixed with lightning. A corner was completely underwater. Track crews went to work removing the water from the complex. 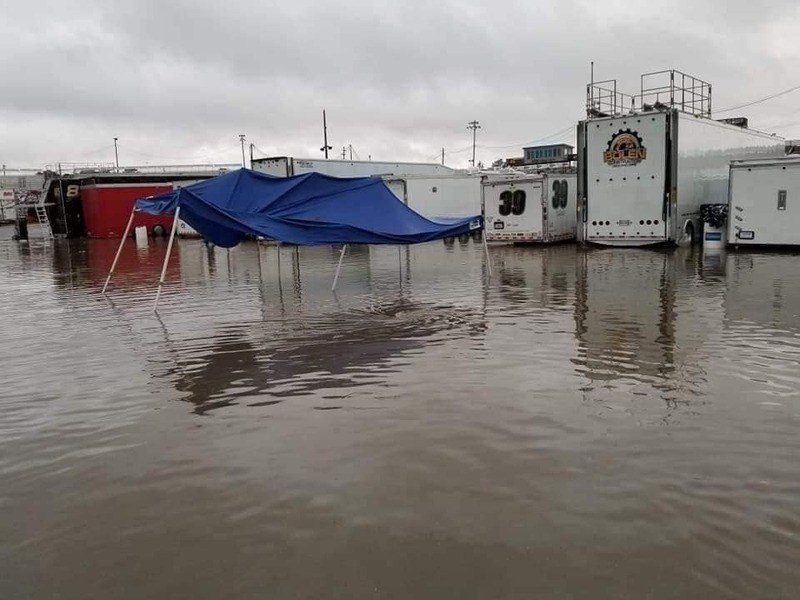 Now, despite flooding just 16 hours ago, they’re going racing today. The track is nearly dry and the Snowball Derby is set to resume. The 300-lap main event is scheduled to begin at 2:00pm. The top 30 from qualifying are locked into today’s Snowball Derby. Stephen Nasse and Kyle Bryant will collect the two provisional starting positions. All drivers in bold below will start the race. The rest of the field is set to take the green on the last chance qualifier race. Four drivers will transfer to the main event from the LCQ. The provisional drivers will start at the tail. Here’s the starting lineup for the main event as the field is set following the LCQ race.